We have two new speech therapists this fall, one at school, and one through our private agency. When I learned that we would be moving to new therapists, I wasn’t overjoyed, because transitions can be challenging and they can use up valuable time in which we could be breezing forward with someone that we don’t have to get used to. However, it has turned out to be more than fine. Sophie has been seen by new sets of eyes who never experienced “silent Sophie.” Our private therapist in particular finds it difficult to comprehend, I think, that Sophie was pretty much nonverbal one calendar year ago. Of course she’s read the initial evaluations and reports, the first sets of goals, the therapy notes. She sees the documentation in front of her, but when she looks at Sophie today, just a little over a year past her original apraxia diagnosis, she doesn’t really see apraxia anymore. When I shared this with my mom, she asked, “Does apraxia usually resolve that quickly?” No. No it does not. Apraxia is a years long journey for most children who are diagnosed with it. Because of our new therapist’s questions, I’ve reflected a lot on Sophie’s speech development over the past year. 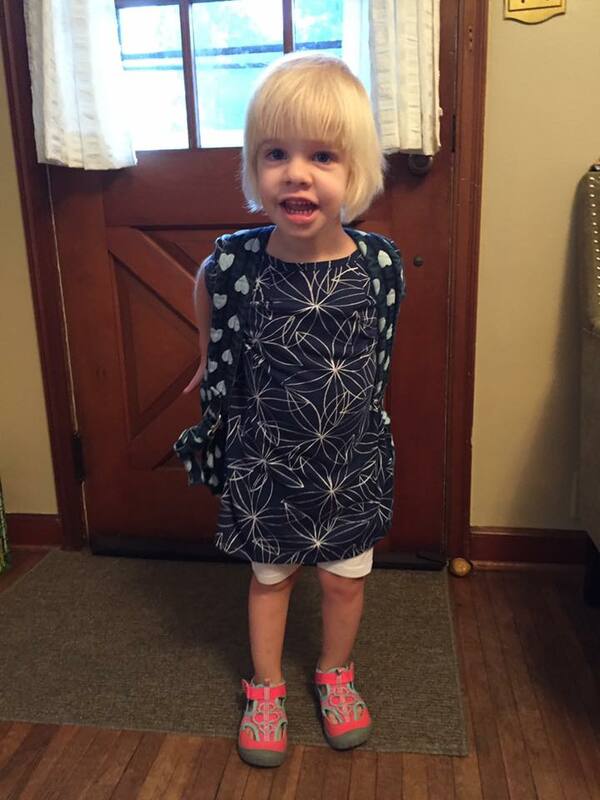 She definitely DID show some major indicators for apraxia last summer when she was diagnosed. She could not produce any intentional sounds. She certainly couldn’t sequence sounds. Her receptive language was leaps and bounds beyond her expressive language abilities. There’s no denying its presence at that time. But now, she really shows very few signs of apraxia anymore. Children with apraxia struggle a great deal with sequencing sounds. They can repeat the syllables “po” “ta” and “to” but to say the word “potato” causes a great deal of difficulty. Sophie has no trouble with this word, or with magazine, restaurant, octopus, and many other multiple syllable words. Really the only remnant of apraxia that we can see is that she is still unable to plan certain motor movements, such as sticking her tongue out, clenching her jaw shut, making her lips move in more complicated ways (think, fish face), and moving her tongue up and down or side to side. Those are motor planning issues. And they do affect the clarity of Sophie’s speech to some degree. According to our new therapist, Sophie’s current speech issues most closely resemble a condition called dysarthria, which is a speech disorder associated with brain injury, stroke, and more serious disabilities such as cerebral palsy, Huntington’s, Lou Gehrig’s disease, muscular dystrophy, MS, parkinson’s, etc. Fortunately, Sophie has had multiple MRIs, among other tests, and so we feel confident that she does not have any of these disorders, nor dysarthria itself. Her therapist also specified that she would not diagnose Sophie with this disorder, but that her issues resembled it. 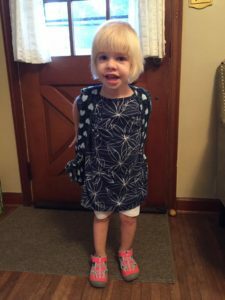 She actually feels that most of Sophie’s current issues are connected to her hypotonia (low muscle tone). There are 8 muscles in the tongue alone, and coordinating those muscles when they are low in tone will require extra effort, not to mention the other facial muscles, and muscles of the upper torso that work to form our speech. So we have a fresh take on Sophie’s speech problems and new ideas for how to help her progress. I’ve been left wondering many things. Has Sophie’s muscle tone been the issue all along? Was she misdiagnosed? Or has her apraxia resolved at a miraculous rate? These are questions that we may never really be able to answer. And if you know me, you know that I’m not really too concerned about answers. I’m just so pleased that Sophie is doing so well with her speech. In my heart I just believe that whatever Sophie’s speech disorder was or is, God has been so good to her and to us in the lightening speed at which she has developed speech in this past year. We remain thankful and ever aware of his goodness to us.